I was at Pavilion KL with my mom to attend the media launch of Ultraman Live in Genting - Revenge of Baltan on 9th September 2016. 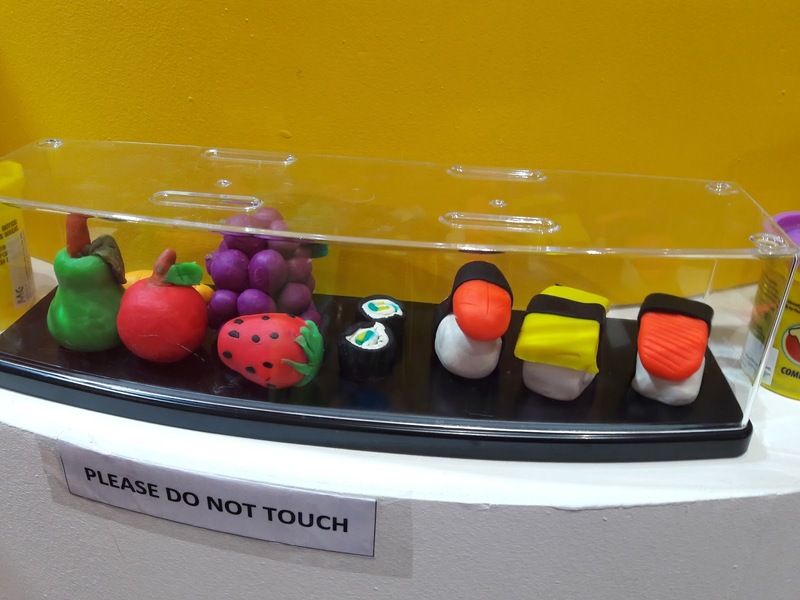 I was excited to see Ultraman Zero, Ultraman X and Ultraman Leo there. I know this will be an exciting show because I watched last year's Ultraman show and there was so much interaction with the audience. 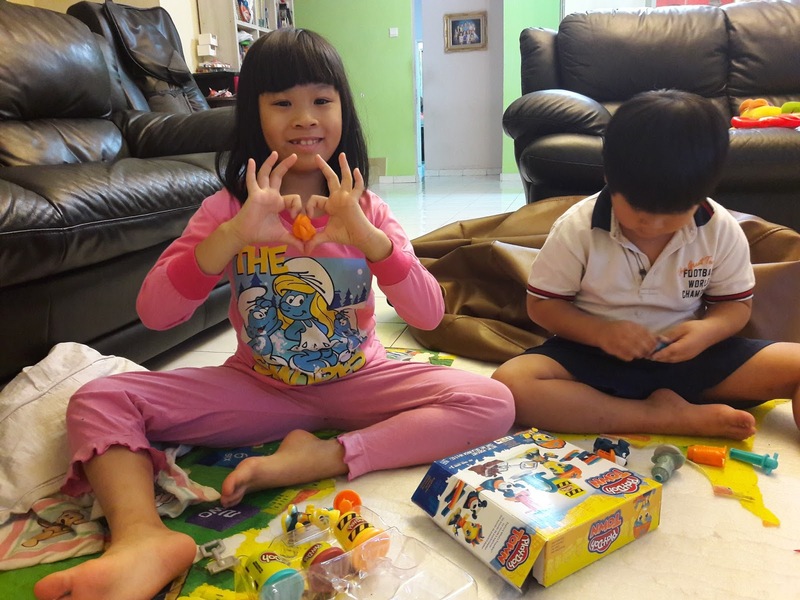 My brother and I are Ultraman fans. 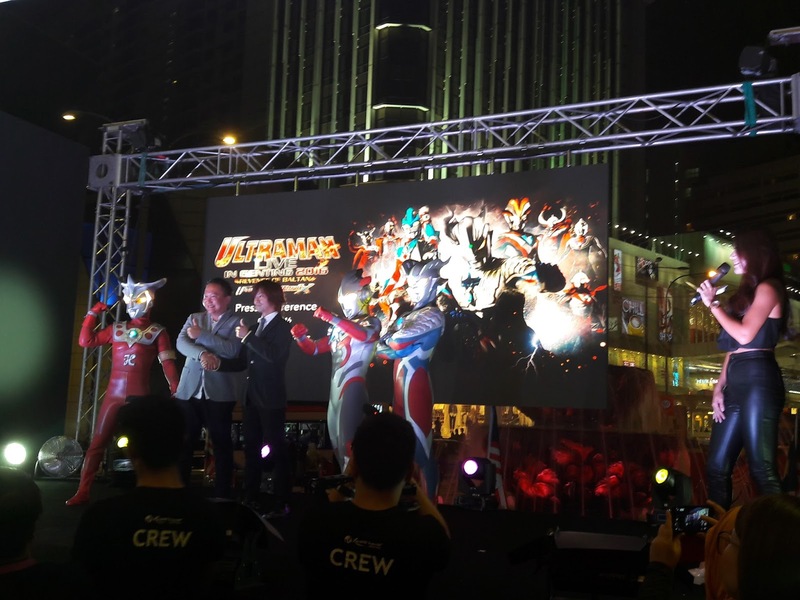 Ultraman Live in Genting 2016 - Revenge of Baltan is from 5th November 2016 to 2nd January 2017. 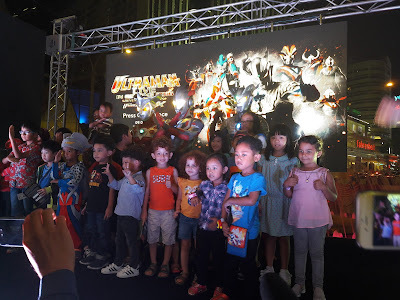 Fans of Ultraman can meet and greet the superheroes at Pavilion KL Tokyo Street from 9th to 18th September 2016 from 10am to 10pm where they will appear 4 times a day. The tickets are sold at 15% discount here. Mr. Kevin Tann with Mr. Yoshihide Tanaka, International Business Affair Representative from Tsuburaya Production at the media Q&A session at The Loaf. 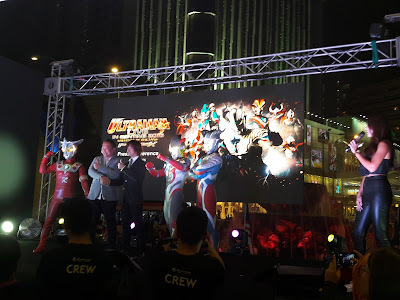 Ultraman Live in Genting 2016 – Revenge of Baltan will feature 10 Ultraman fighting six dark warriors and many monsters from the planet Baltan. And their mission is urgent: To save Planet Earth from falling into the hands of the villains. Fans of the superheroes can be there to cheer on Ultraman Zero, Ultraman X and their comrades as they battle the anthropod-like aliens. The electrifying live performance featuring some of the most popular characters from the Ultraman franchise will be held at the Genting International Showroom twice daily—at 4pm and 8pm. The superheroes will face off with such dark warriors as Chaos Ultraman Calamity, Dark Lops Zero, Kaiser Darkness, Dark Zagi and Evil Tiga. The live show will be the first time some of these villains are featured at the resort. 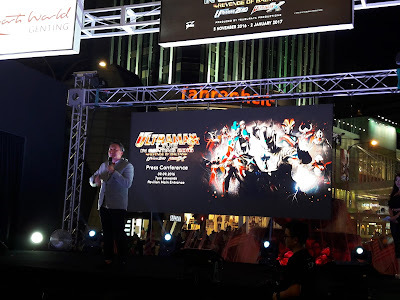 Ultraman Live in Genting 2016 opens with scenes of destruction that will have viewers wondering why their favourite superheroes would destroy the planet Earth. Yes, Earth is under attack—but it is not what it seems. It is not the good guys that are doing it but the dark forces sent by Baltan to Earth—the evil league led by Chaos Ultraman Calamity and the other familiar villains. It is up to Ultraman Zero and his comrades to save the day—and so they gather at Genting Highlands to take on the dark warriors and Baltan. Fans of Ultraman who want to be there as these scenes play out should include the live show in their year-end must-see list. 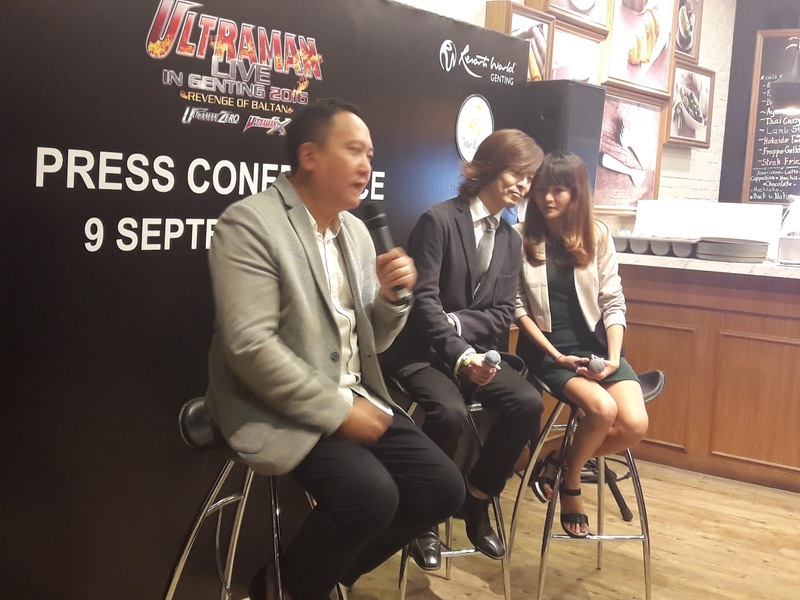 Tickets for Ultraman Live in Genting 2016 – Revenge of Baltan are priced at RM108 (VIP), RM88 (PS1) and RM68 (PS2). Each ticket is bundled with an Ultraman watch. Ultraman fans may also opt for packages that include both tickets for the show and accommodation (available now until 2 January 2017). The package priced from RM169 entitles them to stay at First World Hotel (XYZ deluxe room) and includes two show tickets. Groups of four can opt for the XYZ Triple room package that comes with four show tickets, ranging from RM278 nett. 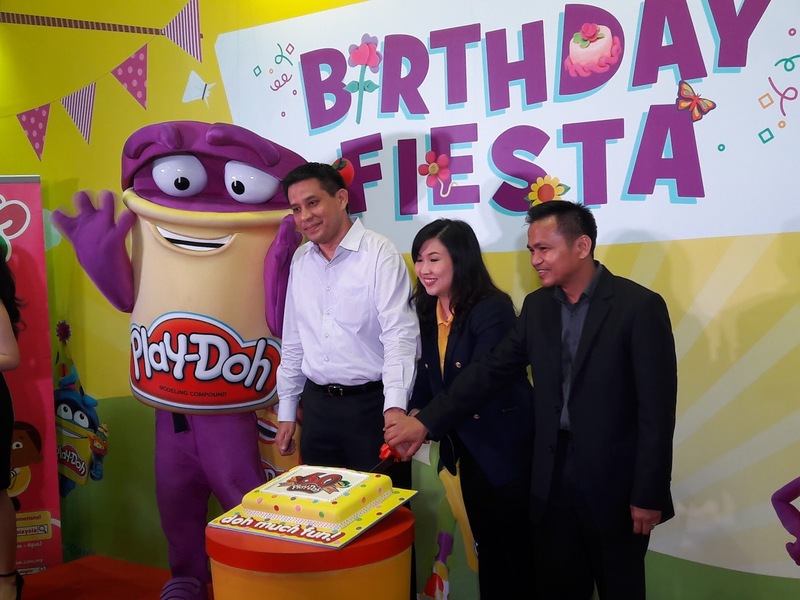 Play-Doh Celebrates 60 Years Birthday! I love to play Play-Doh and it was fun to see the Play-Doh 60 years celebration at The Curve, Mutiara Damansara with my mom and brother yesterday. Hasbro Toy (Malaysia) Sdn. Bhd. 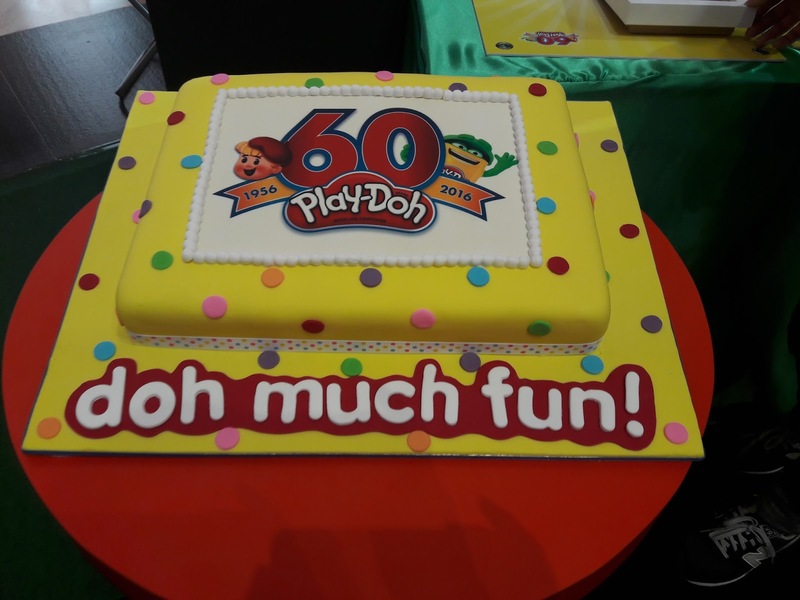 organized this event to pay homage to the role Play-Doh has plyed in the lives of 60 celebrities known as Doh-Bassadors of Creativity. 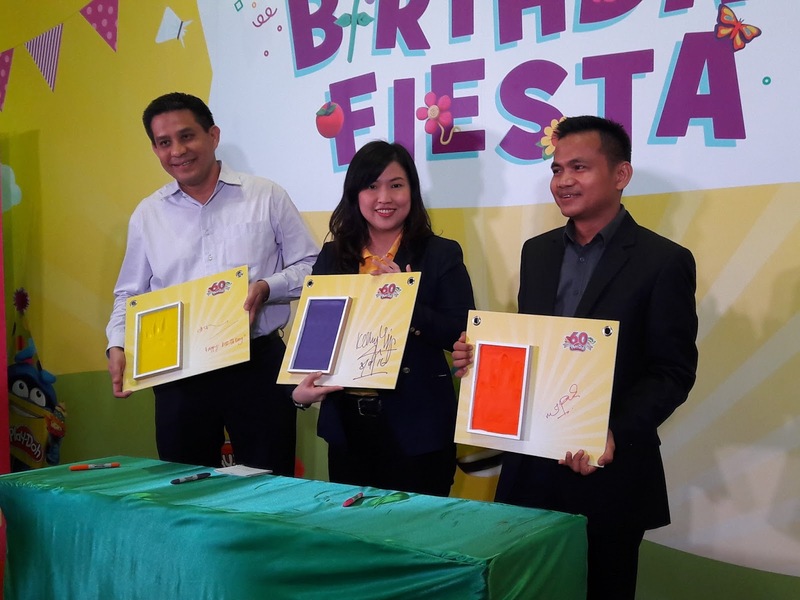 Doh-llywood Wall of Fame has their handprints and birthday messages. 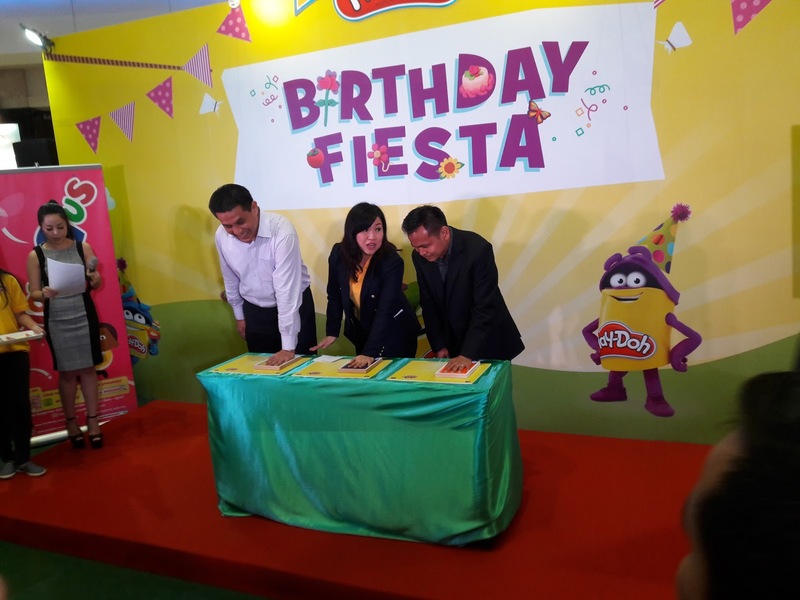 This event will be held from 6-18 September 2016. 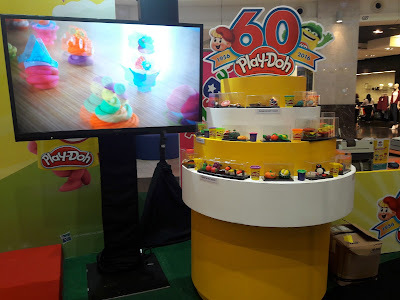 Play-Doh started with only 4 colours (red, yellow, white and blue) and now has more than 50 colours. It was developed by a soap company in 1956 in Cincinnati, U.S.A. as wallpaper cleaner. The main ingredients - water, salt and flour was used. Play-Doh promotes hand eye coordination and creativity. 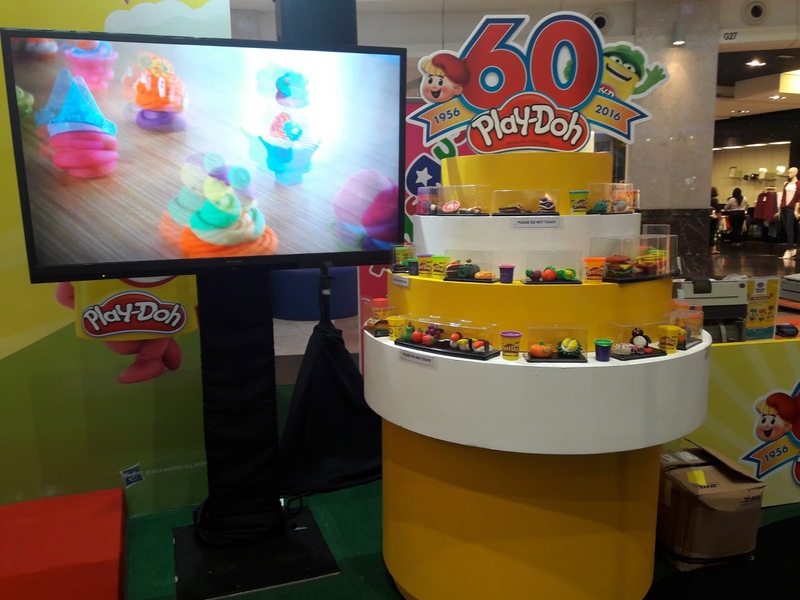 Play-Doh is sold in more than 80 countries. I love Play-Doh very much because it lets me be creative and I can use my imagination to make anything I like. 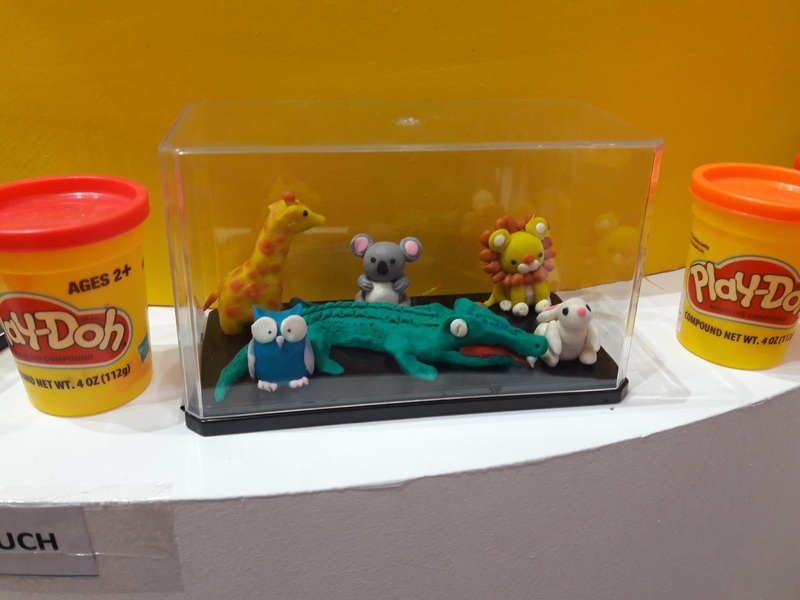 Many adults still love to play with Play-Doh. After the event, my brother and I played Play-Doh. I played the Play-Doh Town set. 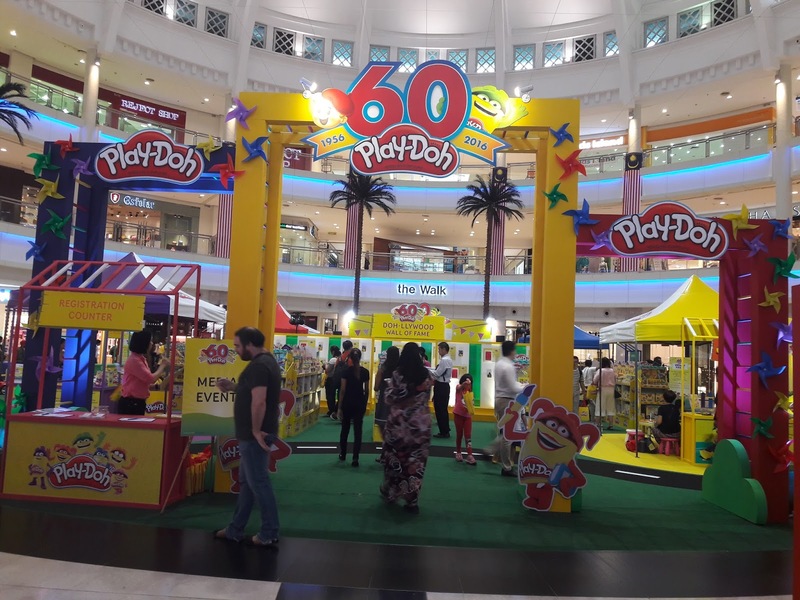 If you do not have any plans for this coming school holiday, you can visit The Curve and have lots of fun! 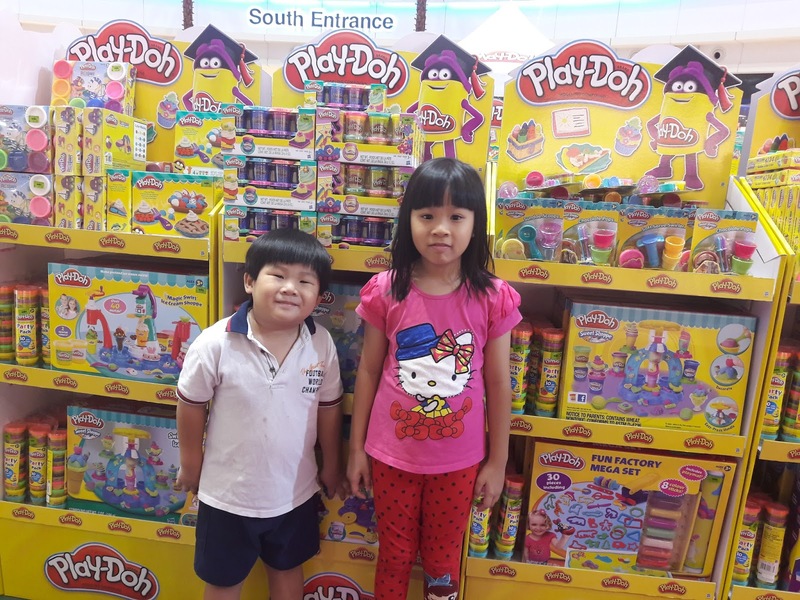 There are many activities here with purchases.